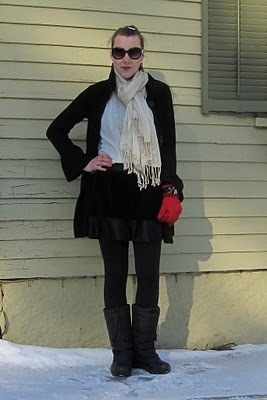 Kendi, gorgeous girl over at Kendi Everyday, posted the other day that she was freezing in her little lace skirt in the 19 degree Texas cold-snap. Her question, "How do you wear a skirt in 19 degree weather?" prompted me to do my own little post. 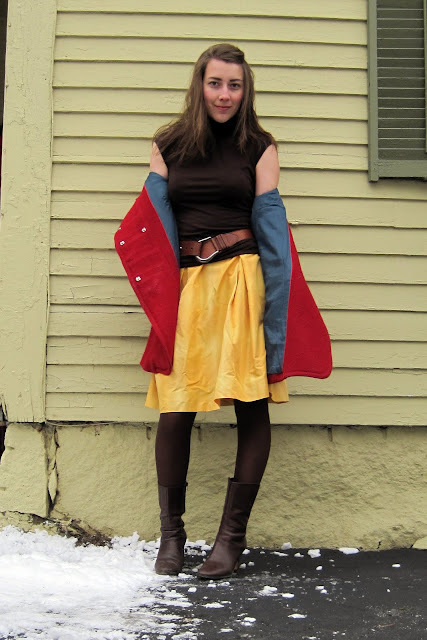 I absolutely love wearing skirts and dresses in winter, in New England, where the weather is often negative degrees. Legwear: First off, Plush Apparel fleece-lined tights/leggings. Did you hear that? Fleece-lined. Tights. It's like staying at home wrapped in your blanket, but being work appropriate. Super-score. Thick sweater-knit tights are great, too. Make sure your regular, opaque tights are thick and quality-knit. Or double them up! I also have some super-thick leggings I wear alone, or, on ultra-frigid days, I'll layer my silk long underwear under my leggings. I have a large collection of knee-high socks and Smartwool socks, too. 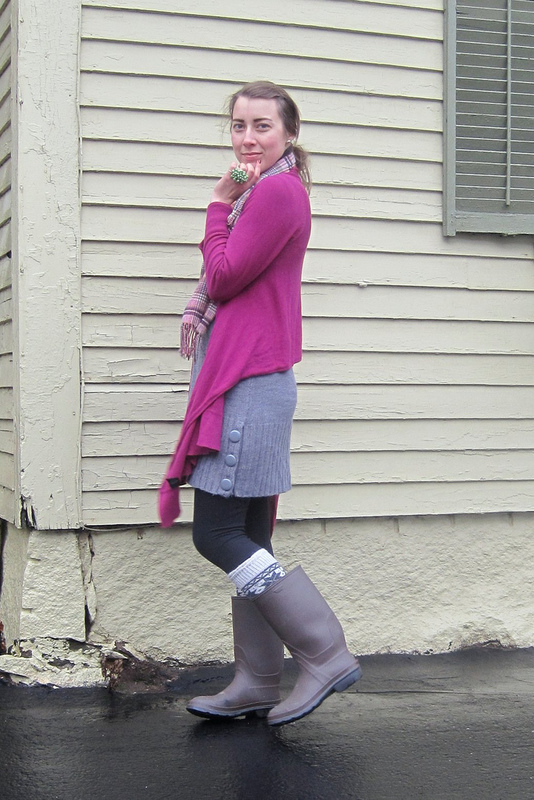 In those boots, there is almost always a pair of Smartwool socks. But you don't want to layer your socks/tights too much on your feet....restricting air flow to your extremities is a bad idea. 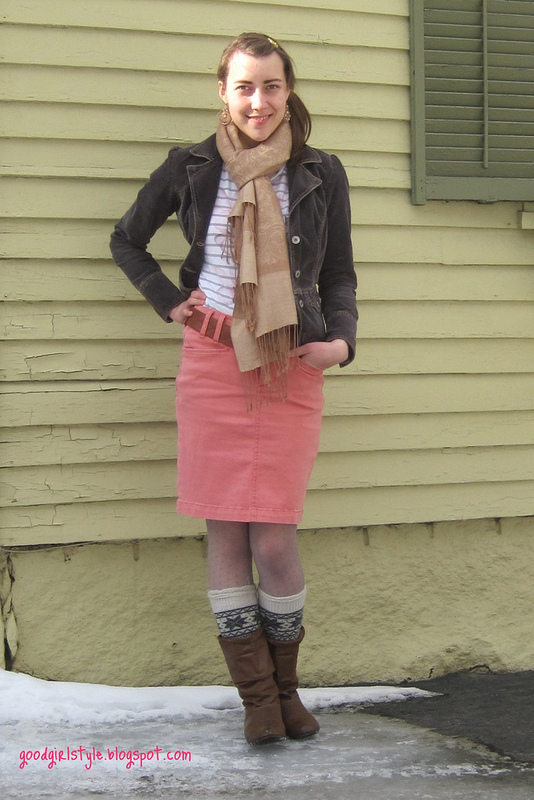 Your Skirt/Dress: I tend to choose heavier-weight skirts and dresses to wear in winter. I love to wear my silk slip underneath, it always seems to add a bit of warmth and helps smooth static-cling. Thick wool skirts or jumpers, corduroy, heavy denim, heavy-weight silk skirts, velvet, or turtleneck dresses all work best for me. If it's a dress you're wearing, be sure you have your decolletage thoroughly covered so you don't catch a chill. That's where scarves come in! I've also heard that keeping your lower back warm is extremely important, so I try to do that, too. Wear your longest layer on bottom. Other Layers: Make sure to keep your core warm. Then focus on keeping those extremeties warm, too. Layer on gloves, hats, and scarves. I am always wearing gloves, hats, and scarves in winter, you just don't see them very often. I take them off quickly to take my photos and put them right back on! I also keep several pairs of fingerless gloves in my tote bag. 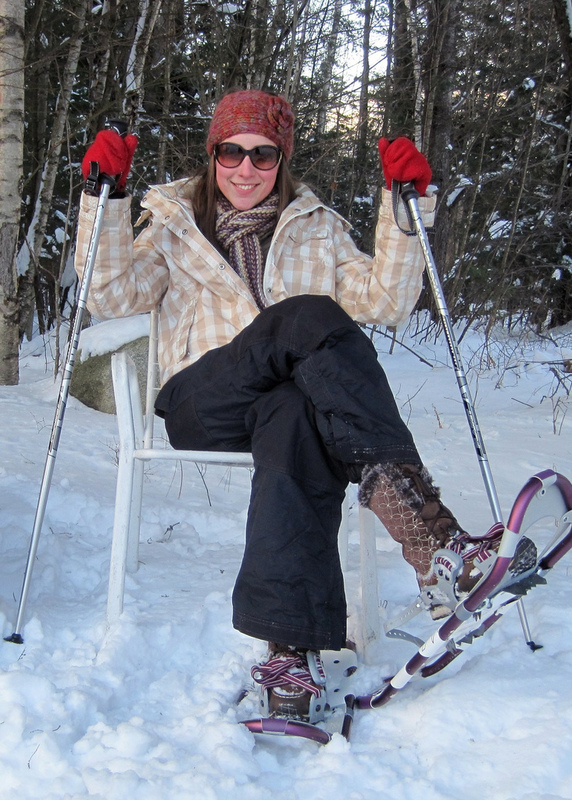 Footwear: Your boots and shoes are extra-important in cold climates. If I'm wearing cute shoes/heels in a photograph, you can bet I am only wearing them at work, indoors, where it's warm. Whenever I'm outside, I'm always wearing my Sorel boots, my Northface boots, or fake-Uggs (which still keep me extra warm). Etc: Wait for a sunny day! Even if it's still 5 degrees, the sunshine will give you motivation to get dressed in a skirt/dress, and to feel a bit warmer. I hope that helps. Nothing ground-breaking, but it really helps lift my mood to wear dresses and skirts in winter. Plus, I think they are warmer and more comfortable if you layer properly. On a day that is single digits, with a windchill of twenty-below-0, you'd better be comfy and you'd better be warm! Kendi, come visit me in New England! We'll do all the fun stuff you can do when it's cold AND there's snow! Texas-cold must not be much fun without snow :-(Stay warm! Love these ideas and outfits! Do you have recommendations for silk slips (brands) or brands of tights that you like? Hello! Thanks so much for stopping by :-) My silk slip is Mary Green. Plus Apparel makes the "official" fleece-lined tights, but I find similar ones, and in fact most of my tights, at TJ Maxx early in the season...they have a great selection! I *try* to find natural fiber tights (cotton vs. polyester), but the fleece ones are most likely poly. Just don't want to wear those every day! Hope that helps!